•Why do we make disciples? •Who do we make disciples of? •What do we say to make a disciple? •When do we make disciples? Each of these questions comes with a simple tool to equip the disciple-maker for their work, such as, the Oikos Prayer Map, which helps the new believer think through those in their sphere of influence who are far from Jesus, the 15-second Testimony, a rapid way to engage someone in a spiritual conversation, and the 3 Circles, one of many fantastic evangelism tools used today. In addition, Josh provided very helpful and necessary insight in the cross-cultural realities of inner-city ministry. Why go half-way around the world when one of the largest “unreached people groups” is right here in South Dallas? 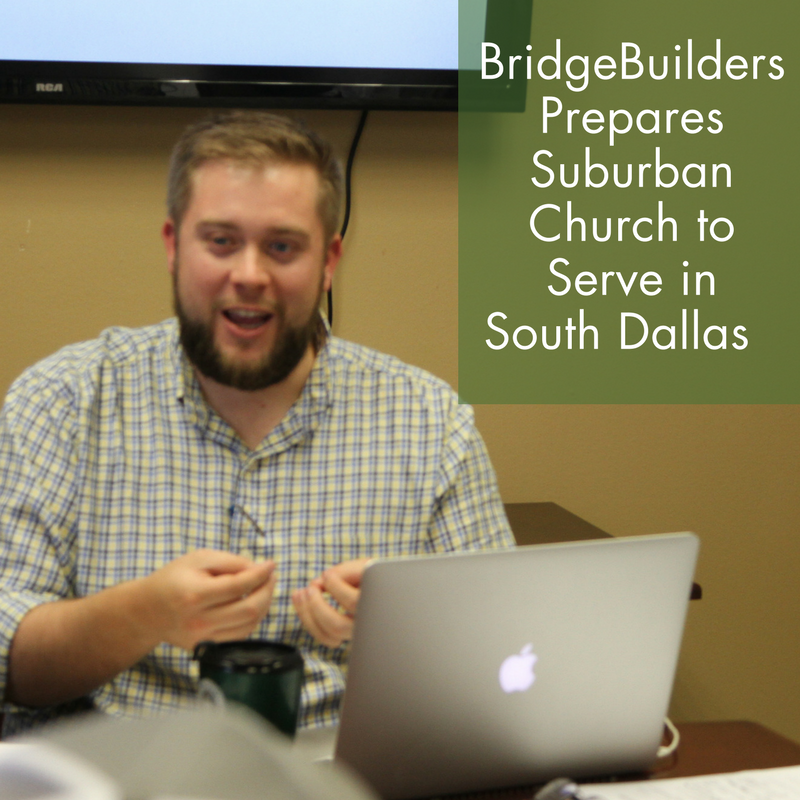 If you are interested learning more about “short-term” mission opportunities in South Dallas, contact Josh Conner at jconner@bridgebuilders.org.